Richard Vergona is a small business accounting specialist with vast experience and varied specialities. 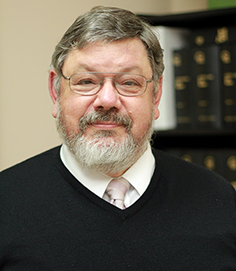 He is a qualified forensic accountant and auditor and assists legal practitioners in business valuation for Family Law and Partnership disputes, fraud examination, or just for purchase and sale. After establishing his career in second-tier firms working in audit and taxation, Richard commenced his own chartered accountancy firm in 1982. He has been helping small businesses for over 45 years. He continues helping new and established businesses to start out, overcome hurdles and grow. Richard's friendly demeanour, attention to detail and passion 'getting it right' are noted by all of his clients. These qualities are also the founding lynch pins of the practise. 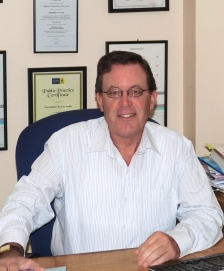 Peter Smith has over 30 years of commercial and public accounting experience, holds tertiary qualifications for Bachelor of Business and Master of Taxation and is a Certified Practicing Accountant and Registered Tax Agent. Peter is experienced in assisting small to medium size businesses with business growth, profit improvement, cash flow optimisation, asset accumulation and protection, succession planning, taxation planning strategies, and estate planning. Our dedicated team of accountants, corporate services, BAS Agents and friendly clerical staff are here to support our clients. Your first consultation is to assist us in finding out about your current taxation position and to see if there is synergy between us, therefore there is no charge for this consultation. Your consultation will give you information and allow you to see a plan to move forward with.